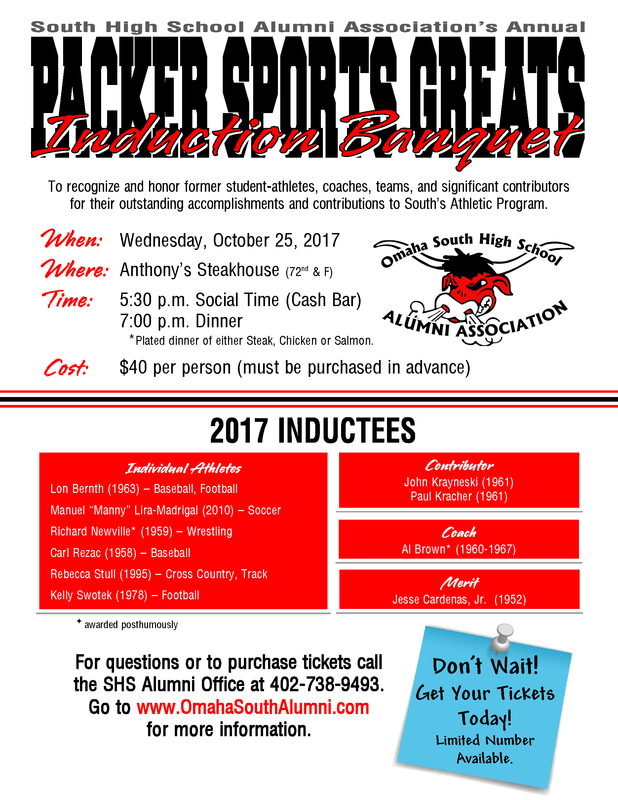 Congratulations to the outstanding alumni who will be inducted into the Packer Sports Greats Hall of Fame in October! 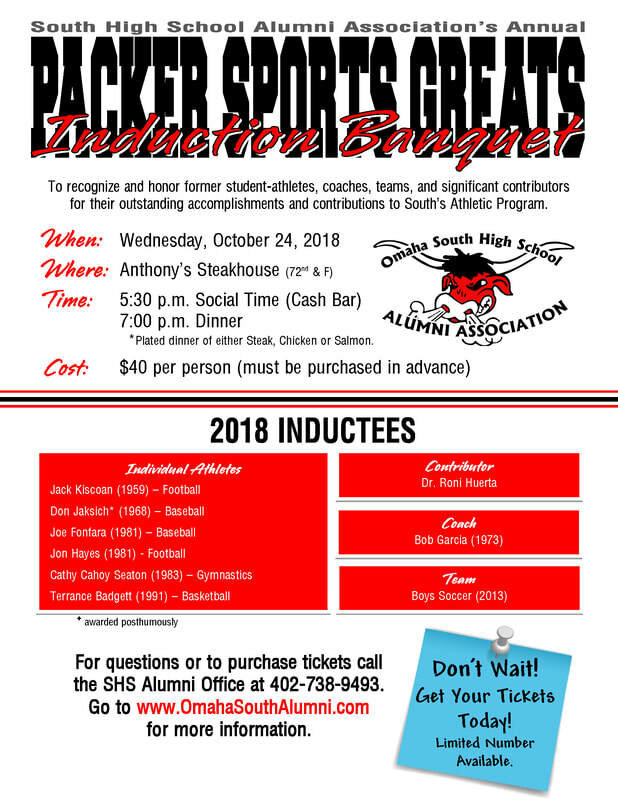 This year’s individual inductees are Jack Kiscoan-1959, Don Jaksich-1968, Joe Fonfara-1981, Jon Hayes-1981, Cathy (Cahoy) Seaton-1983, and Terrance Badgett-1991. Other inductees include the 2013 Boys Soccer team, Coach Bob Garcia, and Dr. Roni Huerta for the Contributor Award. Banquet details below. All are welcome to attend. Tickets are available now at the SHS Alumni Office (402-738-9493).